Natural fruit flavored Junmai Ginjo. This isn't your grandpa's plum wine. 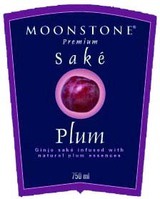 We marry premium Ginjo saké with natural plum flavor and a hint of almond. Rich, ripe plum fills the air and tempts your taste buds as this sweet nectar hits your lips. Sweet plum delights your palate without the sugary thickness of plum wines.